I wasn’t expecting things to deteriorate quite as quickly as they have today. Just in case readers aren’t familiar with this Air Quality Index scale, readings are based on several factors but the figure 248 refers to parts per million of particles 2.5 microns in size. These have a capacity to enter the lungs and remain deep inside. So, where is all this smoke haze coming from today. 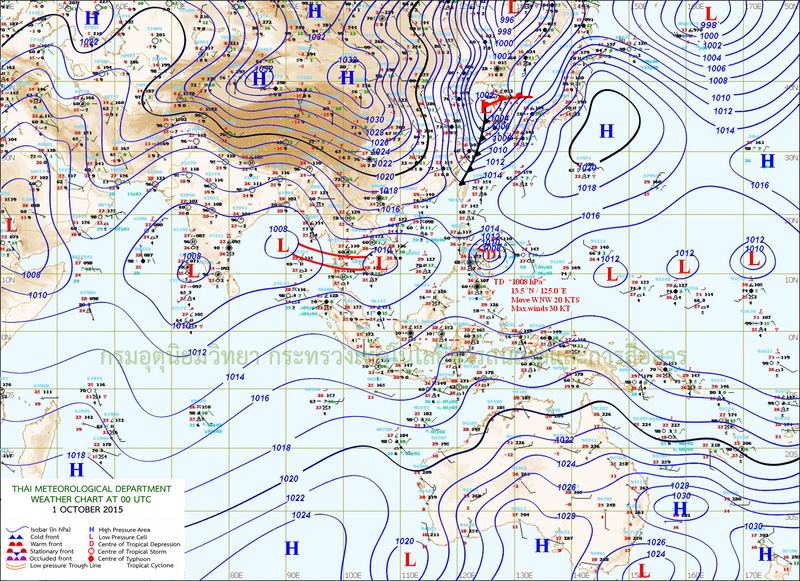 First, here is yesterdays wind map showing hotspots in the ASEAN region. There are two in Sumatra. 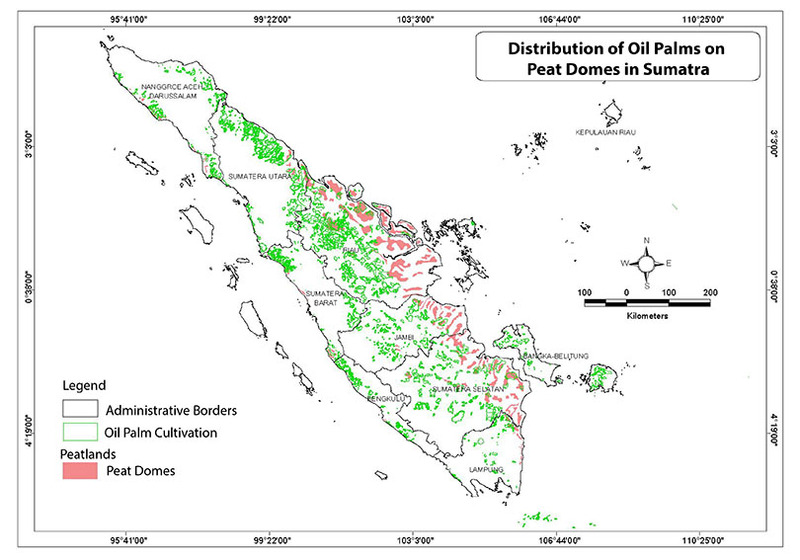 Here is a map showing palm oil plantations and peat domes in Sumatra. Today the Straits Times carried this article. This is a Chitter Media Production, produced and edited by Adrian Metlenko, camera operators Adrian Metlenko and Evan Darnley-Pentes. Forest Burning and haze in Indonesia, Malaysia and Singapore. 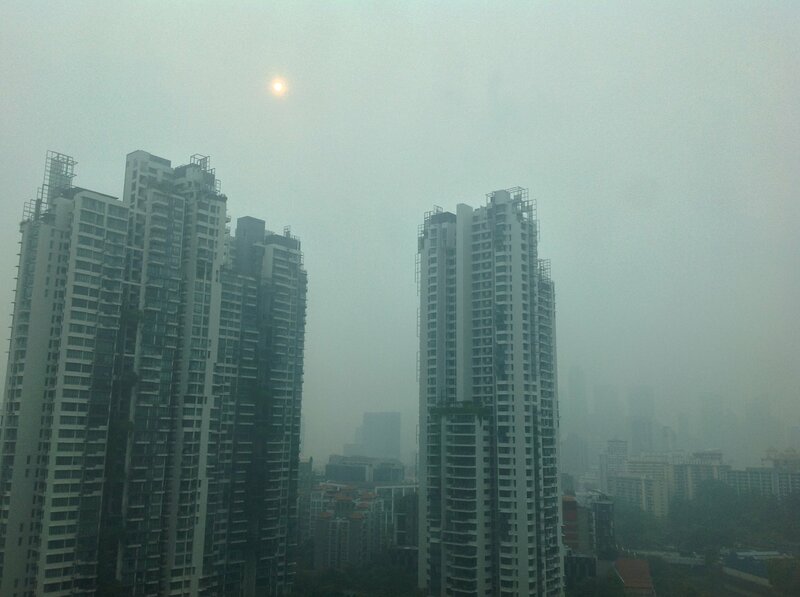 Living with the haze in Singapore. Thunder, lightning and rain were a blessing through the night. Listening to the gentle tapping of rain drops on the window confirmed I’d been right switching off the airconditioning and air filter last thing. Rain always brings an interlude of clearer atmosphere. This was no exception with the PSI dropping to 87 and the PM2.5 to 95 from peaks of 224 and 274 in the previous 24 hours. Sitting here in Singapore over the past two weeks I’ve watched as levels of air pollution have risen. In this connected island nation with it’s ultra fast Internet gathering information about the problem is easy. 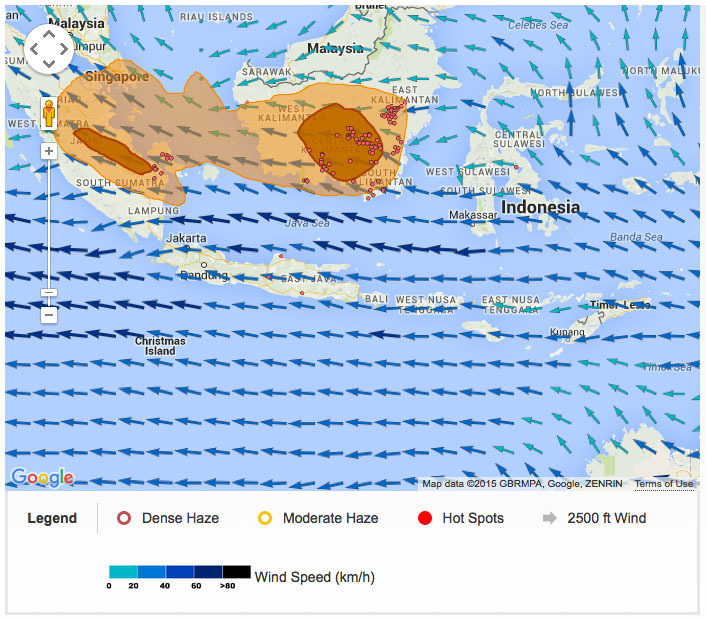 The Haze Information Portal is my first reliable source of data. When the levels of air pollution rise to unhealthy I wear a mask to help filter out the PM2.5 the particles in the air that are smaller than 2.5 microns, the ones that can travel deep into the lungs. Anyone living in a city listed in the Air Quality Index website can check their city’s AQI by using this link I’ve set up for South, Singapore. Just click on this link and search for your own city. The pollution indices and color codes available on this website follow the EPA graduation, as defined by AirNow and explained in wikipedia. As an experiment I just walked about 300 metres to the Zion Road Hawker Centre without wearing my mask. The entire journey was conducted with PM2.5 at 167, in the red band. I wore a mask on the return journey. Now my nose is itchy, I’m sneezing, I can feel a burning sensation deep inside my nose and the back of my throat. My voice is slightly hoarse. I’m actually in an at risk group and I’m by no means alone. This is the last time I’ll attempt the experiment. After a few days living with the haze, particularly if PM2.5 reaches Hazardous, which it has done, reflecting on the cause of the problem is inevitable. In our case the problem is Indonesia, Sumatra to be precise, although it’s not alone, Kalimantan also has huge problems. Of course none of this is new, it’s been going on for a while. A friend who lived in Singapore back in 1993-94 reports encountering the haze. Most people probably think of Indonesia as a land of rice fields and rainforests, and it is, but it’s also a land of monsoon forests, mangroves, nipa palm swamps and swamp forests. It’s in these swamp forests that the source of the problem lies dormant. If they are left undeveloped or developed in sustainable ways the problem usually doesn’t arise, but unfortunately they are falling victim to the rapidly expanding oil palm industry. Indonesia is the world’s largest Crude Palm Oil producer with about 10 million hectares of Palm Oil Plantation, more than 600 Palm Oil Mills, about 120 refineries, and some palm kernel oil mills, oleo chemical companies and biodiesel factories. Palm oil is the world’s most widely consumed vegetable oil representing 34% of all vegetable oils consumed with soybean oil in second place at 27% of vegetable oils consumed. As the world’s largest palm oil producer, Indonesia is responsible for 52% of the world output. Production grew 11% per year between 1993 and 2013. Malaysia produces 34% of the global output. Combined Indonesian and Malaysian palm oil production in 2012 was valued at about $40 billion. Around 70% of Indonesia’s palm oil plantations are in Sumatra and the remaining 30% in Kalimantan. These islands also contain stands of tropical rainforests. Early palm oil plantations were often established in areas where rainforests had been logged for their valuable timber. One notable area was the coastal fringe to the north-east of 3°N 99°E in North Sumatra province then extending south-east into the inland areas of Riau and Jambi provinces. Early oil palm plantation development tended to be mostly in well-drained areas with undulating to hilly landforms. Recent oil palm plantation development is being undertaken in the swamp forests and associated peatlands within the north-eastern coastal areas of Sumatra. Peatlands cover at least 9% of the Indonesian land surface, the exact area is somewhere between 16.8 and 27.0 million ha. They form in swamp forests. 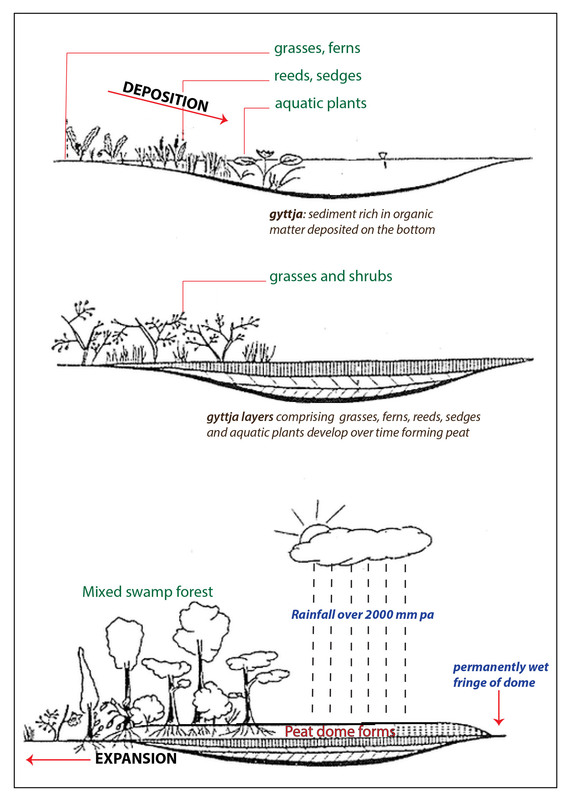 The process of peat land formation is illustrated in the following diagrams. Peat is dead organic matter accumulated in a wet oxygen depleted environment, it is about 90% water and 10% plant matter. Such a high water content creates what is called a perched water table in the peat dome. Water retained in a peat dome is higher than in surrounding areas. Deposits can accumulate over 1000s of years and those in South East Asia have been forming since sea levels stabilised after the Pleistocene, at the beginning of the Holocene. About 70% of tropical peatlands are found in South East Asia. Most occur in coastal or peri-coastal swamp forests or lowland river catchments in areas of Indonesia in Sumatra, Borneo (Kalimantan) and West Papua, Papua. They play an important role in flood mitigation during wet seasons and maintaining water supply during dry seasons. Tropical peat domes can be up to 50 km wide occupying entire catchments between adjacent rivers. Although peat swamp forests have many species of valuable dipterocarps limited access, and the preponderance of dipterocarps in the larger tropical forests within more well-drained areas, ensured that they were less disturbed until recently. Consequently they have remained an important habitat for animals. In Sumatra peat swamp forests are habitat for endangered species like Orang Utan, Sumatran Tigers and Rhinocerous. Peat deposits are a large and highly concentrated carbon store. Peatlands and organic soils contain 30 percent of the world’s soil carbon but only cover 3 percent of the Earth’s land area. It is estimated that carbon storage in peatlands is up to 58 kg per cubic metre. Their capacity for carbon sequestration alone makes them a valuable global asset. Given the huge income earning potential of the palm oil industry the clearing of swamp forests is increasing. In Indonesia cleared peatlands under oil palm cultivation are expected to increase to between 6 and 9 million ha by 2020, amounting to about one-third of total peatlands. Such a large intervention will have major environmental consequences. At a global scale, CO2 emission from peatland drainage in Southeast Asia is contributing the equivalent of 1.3% to 3.1% of current global CO2 emissions from the combustion of fossil fuel. If current peatland development and management practices continue, these emissions are predicted to continue for decades. canals are dug through peat domes so that water drains away. This causes the peat dome to subside. remaining forest cover is slashed and burned. The process is well documented in Singapore’s Straits Times newspaper of October 1, 2015. There are some brilliant graphics. Once peatlands are drained they begin to release CO2. Once they are burnt the release of CO2 increases dramatically. In an average tropical peat fire 33 cm of peat is lost, which corresponds to 702 t CO2 ha-1 (Ballhorn et al. 2009; Couwenberg et al. 2009). This is more than 15 times the annual oxidative loss from 50 cm deep drained peat soil and exceeds average Holocene accumulation rates by 100 to 550 times. 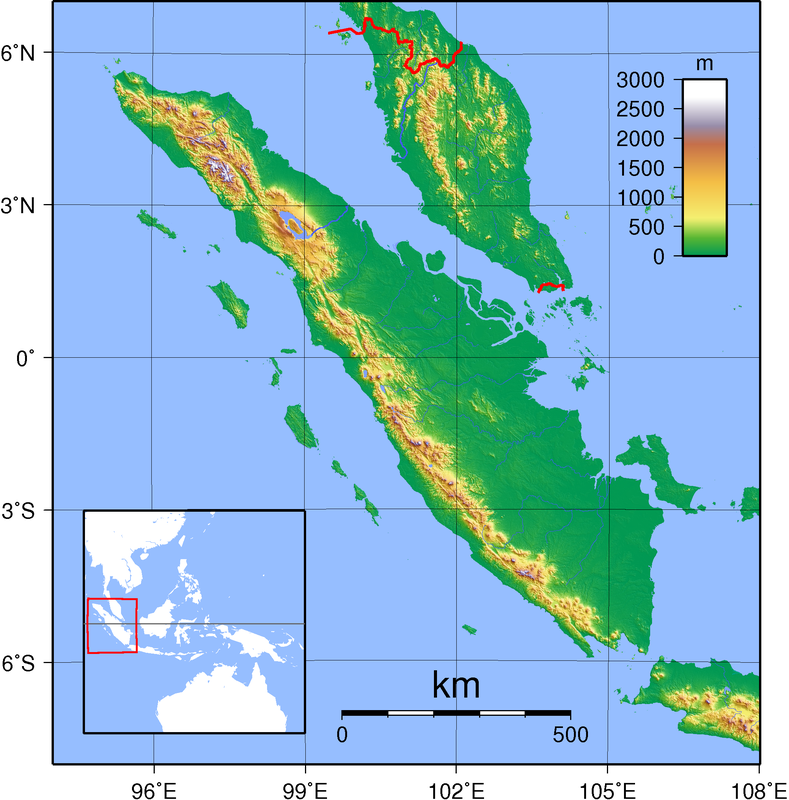 As a result of burning peat and vegetation in Indonesia during the severe El Niño event of 1997/98 about 1.8-3.0 Gt of carbon dioxide were released to the atmosphere (Page et al. 2002; Van der Werf et al. 2008b; Couwenberg et al. 2009). Subsidence in the coastal and peri-coastal areas where peatlands are drained and burned presents additional problems going into the future. More severe flooding exacerbated by sea level rise could render significant cleared tracts of land peatland unusable. The Food and Agriculture Organisation of the United Nations offers this paper to the discussion on strategies for approaching the problem, Towards climate-responsible peatlands management. Mitigation of Climate Change in Agriculture (MICCA) Programme outlined in Peatlands – guidance for climate change mitigation through conservation, rehabilitation and sustainable use is also a useful resource on ideas for migigating the effects of peatland and wetland destruction which takes a more global approach. Apart from illegal and unregulated forest burning, three other geographic factors influence the problem, at any time. 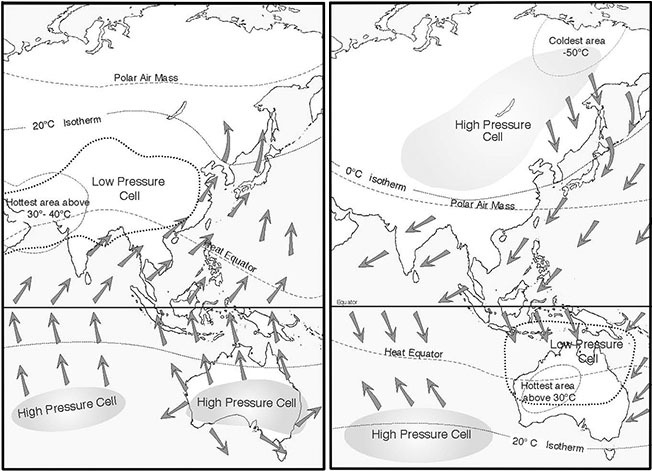 These factors are climatic and meteorological. Their interaction can intensify or modify the air pollution problem on a given day. Wind directions between Australia & S E Asia October 1, 2015. The influence of the monsoon is easily shown in this wind direction chart for Thursday October 1, 2015. While the Australian continent is still relatively cool, winds are spilling out of Australia as south easterlies. Moving off shore they become easterlies then as they pass over the Equator they are deflected becoming south easterlies as the pass over Sumatra. Now they begin to blow smoke over Sumatra, Singapore and Malaysia. The wind direction on a given day will influence the intensity of the haze blowing over Singapore. This is determined by pressure cells. Variations in the isobars, particularly the wavy patterns along the Equator further influence local wind direction. The southern oscillation plays an important role, particularly when the Indonesian and Philippines archipelagos move into an El Nino. Aridity increases both intensifying and prolonging fire regimes. 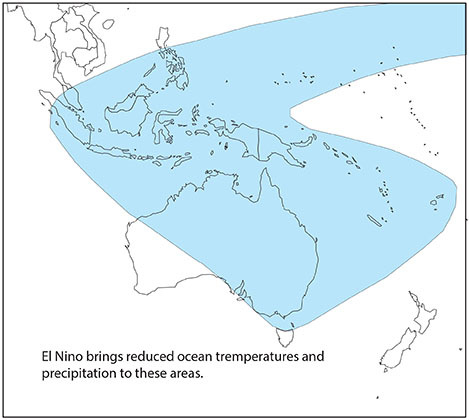 Areas experience reduced ocean temperatures and evaporation during the El Nino phase. After a morning of working in the garden it’s a relief to be out of the wind. Right now it’s blowing at 50 km/h and gusting to 59km/h. In the spring wind gusts stir up a lot of fallen flowers and pollens, so all the while I was working outside digging, sweeping and planting I had an irritation in my nose. It goes with the season. The view from the Federal Highway, east, across Lake George. All this strong dry wind heralds an El Nino event and a period of dry conditions which causes me think of drought and the iconic indicator of such events, Lake George. It’s somewhat of a mystery lake. I can only recall seeing it full for a short period, for the most part it’s dry with a few muddy puddles after rain. This last La Nina period it’s started to fill again, but nowhere near the bank full stage I’ve seen it in the past. It’s a bit of a mystery. The draining of Lake George is always a good sign that were entering an El Nino period of the southern oscillation (ENSO). 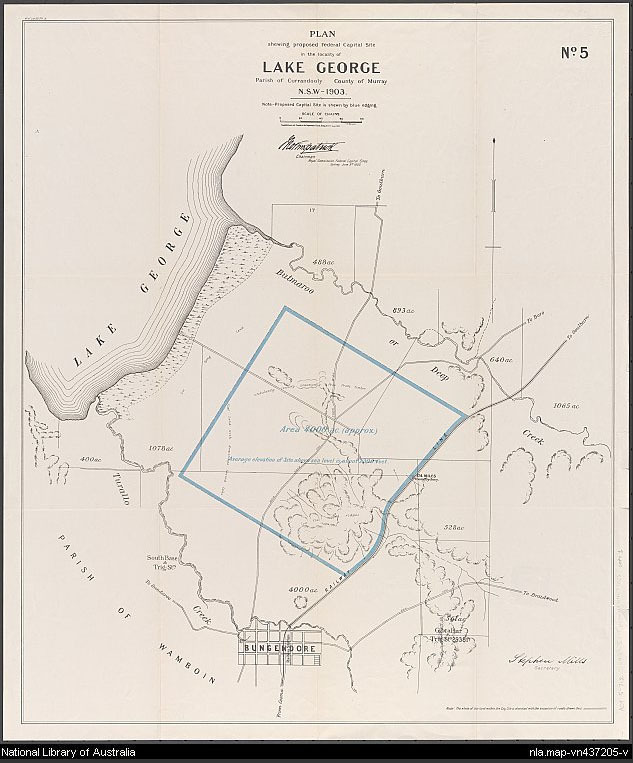 Once people suggested that Lake George had a subterranean link with China. The popular myth asserted that it was conditions in China which determined its water level. Of course this fanciful notion has long been dismissed. A useful source on this is Gary Jones ‘Inside Water’ blog. In my experience, tour coach captains, often not renown for their accurate local knowledge, have added to the apparent mystery over the years embroidering layer upon layer of fanciful explanations for the lake’s appearance and disappearance. With a catchment of 954 square kilometres, 16% of this occupied by the lake. It’s a small system just 25 kilometres long, 10 kilometres wide, very shallow and, for a lake in eastern Australia, very salty. Unless there’s significant rain in the catchment, it seldom has much water. Just 10 minor tributaries feed the lake, which sits at 1350 metres asl. While the means annual rainfall in the area is 750mm it does have appreciable amounts of water in La Nina periods, if rain is falling in the catchment. Lake George, 25 kilometres north-east of Canberra, has a catchment area of 984 square kilometres. Ten minor tributaries feed the lake, which has no surface outflow. The only data I could find for these was for the 25 Km long Turallo Ck which at the time of writing had a depth of 0.62 metres and discharging at a rate of 32.9 ML/day around 80% of it’s bank full flow. The NSW department of Primary Industries Office of Water, provides some real time data on Turallo Creek. In the 19th century there was actually a fishing industry on the lake. Well, perhaps industry is somewhat of a misnomer. Murray Cod were translocated from the Molonglo River to the Lake George area in 1848. This stimulated a fishing industry, but this must have been in a La Nina period. The population that developed in Lake George was used as a source to stock the Wollondilly and Cox’s Rivers and Mulwarree Ponds near Goulburn in the Nepean Catchment . For the reference on this see Species Summaries: An Analysis and Summary of Historical Information on Native Fish. Reporting in the Canberra Times on March 12 this year, Ian Warden made an inspired contribution to the lake George saga. He reminds us that “Mystical Lake George, once upon a time one of Canberra’s rivals as the chosen spot for the federal capital city”. Reading this piece reminded me that I’ve actually seen the plans for the proposed national capital site at Bungendore. On Tuesday I head off to the lake. My son and I will attempt to paddle our kayaks on what water there is. This could be a once in a lifetime opportunity, something he can tell his grandchildren about. Hopefully I’ll be able to join the conversation as well. Whether or not we succeed is problematic. The lake seems fullest at its eastern edge, but this area is surrounded by private land holdings and I don’t know whether we’ll gain entry. Still there’s a good chance we will, since this shoreline, rather the low line of hills above it is the site of a major wind farm. I took photograph at the top of this page from a bus moving at around 100km/h back in late July. I appreciate the hues but I’m also rather taken by the wind farm in the background. 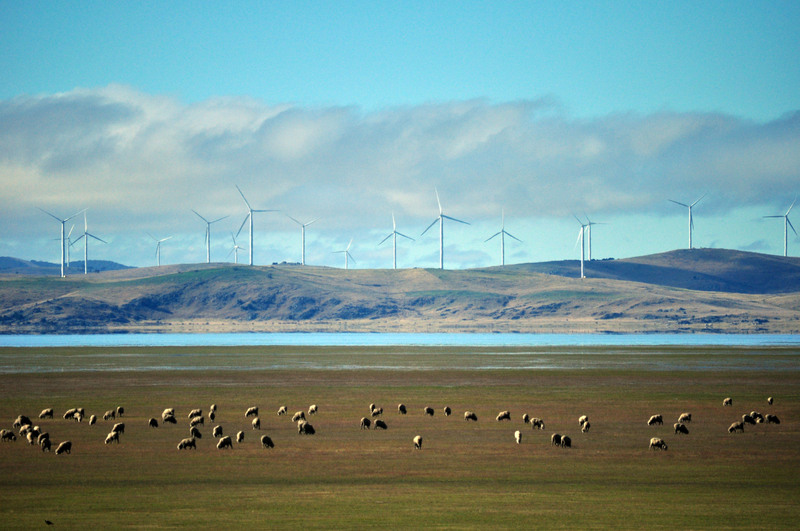 Wind farms appeal to me. Perhaps it’s just from a childhood fascination with those Southern Cross wind pumps that dotted Australia’s arid landscape. There were always displays of at agricultural shows in Sydney, the Royal Easter Show to be precise. Wind farms are a controversial topic, but I really enjoy them. There’s a small wind generator not far from where I live. More about this in my next post. Last November I published the first of these wordles, by way of summarising the language used by my students who had written reports on a field study project conducted earlier in the year. My students completed a field study around the Sydney Harbour foreshore from Darling Harbour to Circular Quay. This was part of a major unit of work within the syllabus topic: Issues in the Australian Environment. A description of my approach is found here. After the students had completed a report on this activity, as part of an assessment task, I merged two student reports as the base document for a Wiki on urban processes. Both papers are now published on an urban proceses wiki for further refinement by all students who participated. Here’s a wordle based on the two papers. Not long ago we repeated the field study. My feeling is that this years students really understood the issues at a deeper level than last years. Here’s the wordle from the two best students reports. Several factors operated to produce a stronger result overall, this year. I think the first of these was my own confidence. Last year the field study was run as part of a DER Research project. I was probably over ambitious in what I attempted to achieve and also less familiar with the software and what students might be able to achieve with it. Last year there was also an extraordinary amount of time pressure on the process. Another critically important factor was that all assessment was reduced to pen and paper work whereas this year a significant component of the assessment was digital. This last change reflects changing culture within the school and the increasing prominence of digital approaches, thanks to the DER 1:1 laptop program. •	the ways in which impacts are being addressed. With these questions as a focus participants gathered data at four separate locations: Pyrmont Bridge and King St Wharf; Millers Point; Walsh Bay; and Circular Quay West. Not all of the main urban processes of urban renewal, urban consolidation, urban decline and gentrification were observable at each of the chosen locations but all of these processes were observable in the field study area. Just how the participants reported on the field study activity in the follow-up assessment was open to one of two basic approaches.